Super Steam Carpet Cleaning is your best bet when you are in need of carpet, tile, and upholstery cleaning service in Temecula. Our professional carpet cleaners are all equipped with environment friendly cleaning tools that will certainly clean your carpets, without harming Mother Nature. Our highly-skilled, IICRC-certified technicians use the most recommended carpet cleaning method by all leading carpet manufacturers, the steam cleaning. To this end, our Temecula carpet cleaners are also equipped with high-powered truck-mounted steam cleaning extraction system, which will certainly clean and sanitize all of your carpets. We understand that businesses need to be always clean. After all, cleanliness can also ensure your customers and employees’ health safety concerns. That is why, we also extend our services to businesses in all of Temecula, and its neighboring areas. With our help, you can have your carpets, tiles, and upholsteries, cleaned and sanitized, without costing you more! Tiles and grouts can be hard to clean. In fact, they are really hard to clean. Good thing for you, we can clean tile and grout stains without trouble! Our technicians use eco-friendly solutions that are easy to apply, and once done with our cleaning, your floors will look like as if they are newly-installed! 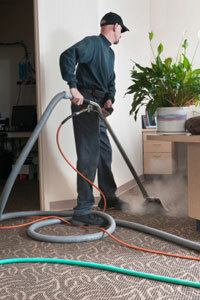 Super Steam Cleaning is also an expert in fabric cleaning. Our cleaning technicians use the best and the safest solutions to remove spots and stains on your upholsteries, making it look as good as new. Whether you are a homeowner or a business owner in Temecula, you can surely gain benefit when you ask for our help!